Biography* � The following appeared in August 8, 1979 issue of the Fayette County News: Buck Murphy Monday - Special day for one of Fayette's leading citizens B.D. Murphy (Burket Dean) Murphy, known by many as "Buck" a nickname that is said to be used first by Mr. Charlie Redwine, will observe his 85th birthday on Monday August 13, 1979. B.D. was born August 13, 1894 and was the oldest son of Joseph Robert Murphy and his wife Harriet Elizabeth Dean. (The first wife of Joseph Robert was Alice Samantha Moor and they had five children) B.D. went to school in Fayetteville. Shortly after he married Louise Culpepper, the oldest daughter of James Wesley Culpepper, he and his family went to Washington with U.S. Representative James Walter Wise. B.D. was associated for a number of years with his father-in-law and in the early 1930's was editor of the Fayetteville Enterprise. He joined a law firm in Atlanta and has spent the majority of his working days (He still maintains an office in Fayetteville) practicing law. B.D. and Louise had three sons, B. D. Jr., Wesley Culpepper, Joel Taylor and one daughter Sarah Louise that married Joseph Joel Mercer. He is a Methodist and on the board of stewards. He was a mason in the Old Mount Moriah Lodge building located about where Dr. T.J. Busey had his offlce and clinic just north of the American Legion Post House on Glynn Street. He was a former mayor of Fayetteville. Burket Dean Murphy was a senior partner of the Atlanta, GA law firm of Powell, Goldstein, Frazer and Murphy. Julia Culpepper, Daughter, F, 17, Sng, GA/GA/GA. S. Kate Culpepper, Dau, F, 33, S, GA/GA/GA. Elizabeth M. Culpepper, d. 15 Oct 1964 at 66 years in DeKalb Co., GA; Res. in Fayette Co., GA.
Kate Culpepper and William Everett Greer, 14 Jun 1934, Cobb Co., GA, Book K, p 34. 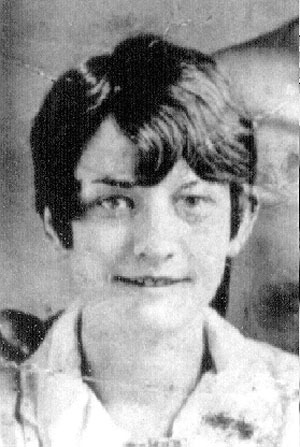 + Julia Culpepper Bowen, 23 Aug 1902 – 15 May 1981. Biography* � The following obituary was written by the Sports Editor of Newnan Times Herald 'FESSOR BOWEN WAS A PATRIOT AND AN EDUCATOR The Stars and Stripes were flying at the home of A. M. Bowen at 125 LaGrange Street last Saturday afternoon. A few hours earlier Manley Bowen had been laid to rest, a victim of cancer. He was my neighbor and a sincere one. He often sat on his porch across the street from my home and through the years he saw the youngsters playing and growing up. He cared about them and let me know that he did by asking about them from time to time. I sat with this man at our weekly Kiwanis meeting and I continued to be amazed at his knowledge on most all subjects. He was a learned man. I first remembered him as 'Fessor Bowen--that's what the kids called him during the 11 years he served as principal at Newnan High School. All total he gave some 40 years of his life to education. I'm glad I had him as a friend and neighbor. As I sat on my porch late Saturday afternoon a gentle breeze ruffled the American flag at the Bowen home. Beside the flag was the empty chair where this man would sit in the late afternoons reading his paper and waving to friends. Maybe he was waving goodbye this time--this man who loved God and country. The following obituary was the Society Editor of Newnan Times Herald (Guest Columnist) A. Manly Bowen was a fine Christian gentleman, and in his quiet, gentle way worked for the good of his community, state and the nation. He was principal of Newnan High School during the four years I spent there, and was my first teacher of Algebra, a subject that I am no more familiar with today than I was at that time. It was at his suggestion that I go to summer school at the end of my freshman year, for he convinced me that if I did not learn the basic rudiments, I would have trouble with all mathematics throughout my school years. Thanks to him, I was able to progress to Miss Louise Rumble's geometry classes with a minimum of trouble. Years later, I had occasion to consult with Mr. Bowen quite often on behalf of this newspaper on matters concerning [t]he Newnan Kiwanis Club, the American Legion, the Georgia Rehabilitation offices and other civic projects in which he was engaged, including his duties with his church. He truly loved his family and home, his church and his country. Biography* � Miss Margaret L. Culpepper, 95, of the Lone Oak Community of Meriwether County, died April 15 at Alvista Care Home is Greenville. The funeral service was conducted April 17 at Allen-Lee Memorial United Methodist Church in Lone Oak. The Reverend Rance Sprayberry officiated and interment was in the church cemetery. Pallbearers were Warren Gray, Billy Perry, Frank Willingham, Pete Johnson, Russell Willingham, and Alfred Daniel. Miss Culpepper was born May 5, 1906 in Lone Oak, daughter of the late Homer and Theodora Herring Culpepper. A graduate of the University of Georgia, she attended the University of Virginia and taught Latin and English in various high schools in Georgia and South Carolina. She later worked with the Department of Family and Children's Services and retired from Meriwether County in 1971 as a casework supervisor. She was the oldest member of Allen-Lee Memorial united Methodist Church in Lone Oak, having joined Prospect Methodist Church (which became Allen-Lee) in 1919. She served the church in many capacities and assisted in writing a history of the church. She was a charter member of the Lone Oak Community Club, was an avid birdwatcher and a lover of nature, and her love of flowers was exhibited by the grounds at her homeplace in Lone Oak. Survivors include one sister, Mrs. Eleanor Willingham of Lone Oak; and several cousins, including Mrs. Florence Johnson's children, Nancy Grace Gray and Rosalind Edmondson, both of Lone Oak, and Bill Johnson of Duluth. Contributions in memory of Miss Culpepper may be made to the Allen-Lee Memorial United Methodist Church Cemetery Fund. 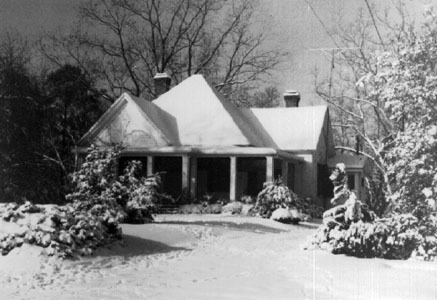 The Claude A. McKibben and Sons Funeral Home of Hogansville was in charge of arrangements. Eleanor Culpepper, Daughter, F, 1 6/12, Sng, GA/GA/GA. J. Stoks Herring, Father-in-law, M, 88, wd, GA/GA/GA. 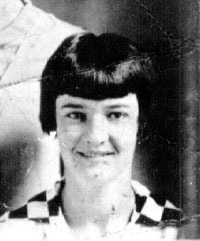 Eleanor Culpepper, Dau, F, 22, S, GA/GA/GA, Public School Teacher. Homer L. Culpepper, d. 5 Jun 1951 at 79 years in Meriwether Co., GA; Res. in Meriwether Co., GA.
+ Homer Lee Culpepper, 3 Nov 1871 – 5 Jun 1951. 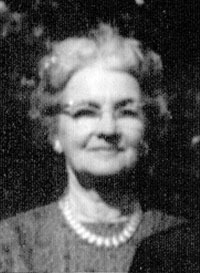 Theodora Culpepper, d. 3 Jun 1959 at 87 years in Troup Co., GA; Res. in Meriwether Co., GA.
+ Theodora Herring Culpepper, 2 Apr 1872 – 3 Jun 1959. Biography* � The following is from pp. vi-vii of History of Allen-Lee Memorial United Methodist Church (formerly Old Prospect Methodist Church) Lone Oak, Georgia 1844-1985 By Eleanor (Culpepper) Willingham: Eleanor Herring Culpepper was born in Lone Oak on October 14, 1908. She is the daughter of the late Theodora Herring Culpepper and the late Homer L. Culpepper. She married Albert M. Willingham of Lone Oak on February 19, 1945. After twenty-six years of marriage, he died on September 19, 1971. They had no children. Her early school days were spent in Lone Oak which afforded only ten grades. 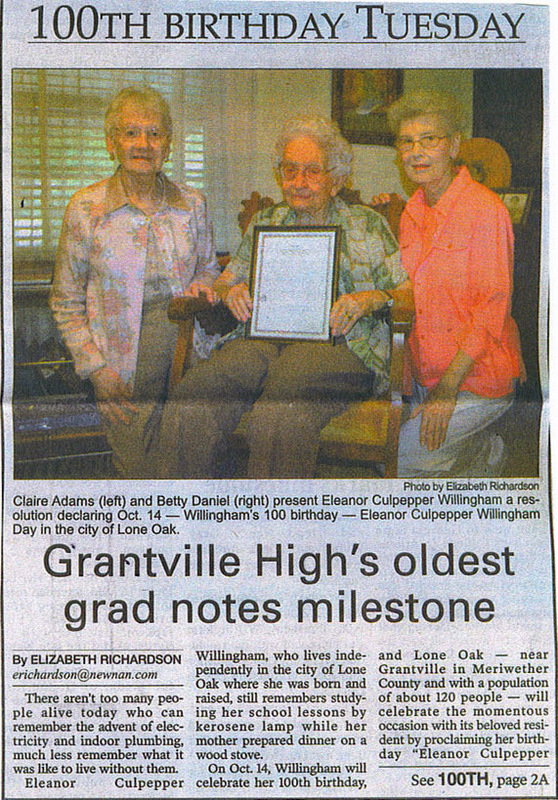 She graduated from Grantville High School as valedictorian of her class in 1925. She received an A. B. Degree in Education from Georgia State Teachers' College in Athens in 1929. The graduates of this college are now considered alumnae of the University of Georgia. During her senior year she was editor-in-chief of The Crystal, the college year book. She also studied at the University of Virginia, specializing in Library Science. On September 30, 1970, Mrs. Willingham retired after thirty-nine years of continuous employmnet with the State of Georgia. This period included six years of teaching in various high schools in Georgia and thirty-three years with the Department of Family and Childrens' Services. During these years she served as Caseworker, Casework Supervisor, and Director. She joined Prospect Church (now Allen-Lee Memorial United Methodist Church) at an early age. She has given years of dedicated service to various programs in the church and has always responded cheerfully whenever and wherever she was needed. Mrs. Willingham takes an active part in all community affairs. A quotation from an article in the Newnan-Times Herald of October 8, 1970, when she retired, is as follows: "Eleanor Culpepper Willingham will never retire". Her love for church, community and family is reflected in her efforts to preserve, collect, compile and publish the history of Allen-Lee-Memorial United Methodist Church. 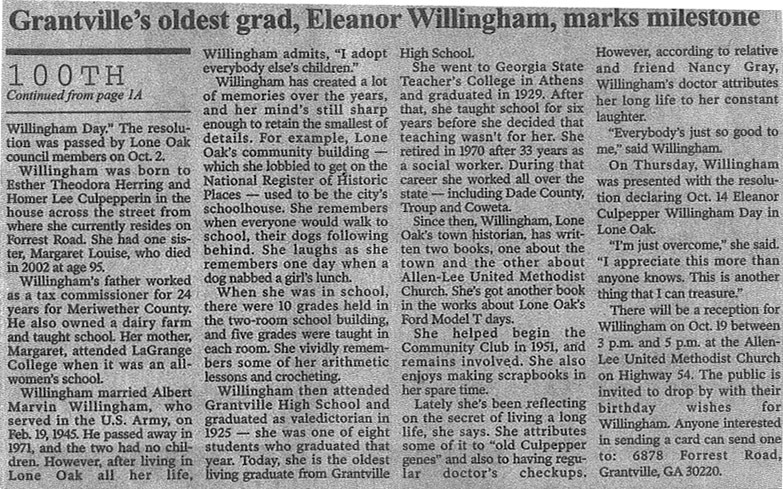 On p. 343 of The Story of Georgia, Eleanor is listed as a "graduate of the local schools [a photograph which appeared on p. 3B of The Newnan Times-Herald for 2 May 1991 showed the 10 students, including Eleanor, that constituted the 10th grade class of Grantville High School in 1924] and the University of Georgia, where she majored in mathematics. She is now teaching school in Grantville." The following appeared on 19 Jul 1937 in an unknown newspaper: Miss Culpepper Accepts Position In Dade County Miss Eleanor Culpepper, daughter of Mr. and Mrs. H. L. Culpepper, of Lone Oak, has been named as welfare director for Dade county and left this week for Trenton to take charge of the office. She is a pretty and talented young lady, an A. B. graduate of the State University and has taught mathematics in several high schools of Georgia. She has had more than a year's experience in FERA office at LaGrange, took a course in social work, worked several months with the WPA and is eminently qualified for the position. Meriwether is proud of her. In the early 1940's, Eleanor Culpepper's work was noted, apparently in the Dalton Citizen: Carnation Award Made To Welfare Head This Week This week the editor of the Dalton Citizen Awards The Carnation of the Week to Miss Eleanor Culpepper, one of Dalton's most civic minded women and a person who is always hard at work in an effort to relieve as much suffering as possible. As head of the Whitfield County Welfare Office it has been her duty to administer the use of all funds turned over to her department by the Community Chest Fund and so well has she done this job that only praise has followed her efforts. Miss Culpepper tempers justice with sympathy in her many dealings with the people who are given care and comfort by her department. She does not hesitate to ferret out any case no matter where it may be located and in what condition the people may be. Thus for her diligent and purposeful attention in the duties of her position the Citizen's editor awards this week's carnation to Miss Eleanor Culpepper of the Welfare Office. Barrett's Flower Shop, please deliver The Carnation of The Week to Miss Culpepper or if the gas situation makes this impractical please phone her to call by for it at your shop. The Georgia County Welfare Association News Letter noted Mrs. Willingham's retirement: COWETA COUNTY Mrs. Eleanor Willingham, Casework Supervisor II, who had 39 years of service with the State, the last five of which were in Coweta County Department of Family and Children Services, retired September 30th. The Staff gave her a beautiful luncheon here in our beautiful new building. Each staff member brought one or two lovely dishes and a good time was had by all at the luncheon. Mrs. Willingham received a good many flowers from the different members of the staff during the day, one of which was a corsage. The Director then presented her with a lovely silver pitcher, from the whole staff. The pitcher was engraved showing years of service. Mrs. Willingham is an asset for anybody's Department and she left 27 staff members with a heavy heart. Mrs. Willingham's retirement was noted in the Troup County Herald on 21 Oct 1970: Mrs. Willingham of Lone Oak Retires Mrs. Eleanor C. (Albert) Willingham of Lone Oak retired Oct. 1, 1970, after 39 years of employment with the State of Georgia, 33 years of which included continuous service with the Department of Family and Children Services. She has witnessed many changes in this department, including a change of name from Department of Public Welfare to Department of Family and Children Services. Mrs. Willingham, the former Eleanor Culpepper, received her A. B. Degree from Georgia State Teachers College, Athens, Georgia, in May, 1929. She also studied at the University of Virginia. Following her graduation she taught in various high schools of Georgia for six years. In July, 1937, Mrs. Willingham became Director of Dade County Department of Public Welfare in Trenton. In July, 1940 she transferred to Dalton as Director of Whitfield County Welfare Department, in which capacity she served until April 1946. After her marriage to Albert M. Willingham of Lone Oak, she transferred to Troup County Department of Public Welfare in LaGrange. She served as a worker for 17 years when she was promoted to Casework Supervisor. In September, 1965, she joined the staff of Coweta County Department of Family and Children Services as Casework Supervisor. It was from this position that she retired on October 1, of this year. Upon her retirement Mrs. Willingham was presented with a beautiful silver pitcher by the Staff of Coweta County Department of Children Services. Mrs. Willingham is well known in Hogansville and this area of Troup County as a public welfare worker while employed in Troup County Department of Family and Children Services. Her many friends wish her much happiness in the years ahead. A similar article appeared in the Meriwether Vindicator on 25 Oct 1970 under the headline "39 Years in Welfare Ends With Retirement." The following article appeared on pages 1 and 5 of the Today, Section B, of The Newnan Times-Herald Thursday, 8 Oct 1970: Full Days Ahead ONE OF THOSE enthusiastic persons who always has a project or two waiting is Mrs. Albert Willingham. These projects, more often than not, concern making other people's lives more pleasant. When she is spending some time for herself there is usually an antique involved for herein lies her favorite hobby. And she doesn't want just any old antique, she wants to know its history. This dear lady is of a happy disposition and the bright red geraniums growing on each side of her front steps introduce a note of cheerfulness that prevails within. This is a home where every visitor receives a warm welcome and is an honored guest. Tradition Speaks When the front door is opened, one steps into an inviting room, carpeted in a soft gold color and tastefully furnished with meaningful antiques. Most of these furnishings are connected with the families of Mr. and Mrs. Willingham, better known to their many friends as Eleanor and Albert. Even the bricks of the mantle have a history dating back to the early 1800's when they were used to build up the graves of Mrs. Willingham's paternal great grandparents in the Providence cemetery near Luthersville. When these bricks were removed to be replaced by new markers the Willinghams had them cleaned and used them for their mantle. On one end of this mantle is a clock over a hundred years old which softly chimes on the hour and the half hour. It belonged to the father of her mother, the former Dora Herring and the numbers on its face are raised due to the fact that Mr. Herring was blind. An object of special interest is a maple spool cabinet, refinished and mounted on legs. This cabinet once used in a store belonged to her father, the late Homer Culpepper. It is placed beside a handsome hand-carved antique sofa, upholstered in dark green velvet. Across the room from this is a chest from the Willingham family. It is a beautiful piece of furniture made with simple lines. A cut-glass lamp, wired for electricity and a bowl and pitcher which belonged to an elderly aunt, are on this chest. The oil painting above it as well as others in the room, have been handed down from members of the family. An antique platform rocker, upholstered in deep red velvet, and other antique chairs add to the warmth of the room. The dining room which is entered from the living room, is furnished with an antique oak group featuring an oblong pedestal table, a sideboard of unusual design, a China cabinet and caned chairs. Treasured handpainted china and crystal add much to the decor of this room. One of the pieces Mrs. Willingham loves best is a handblown glass pitcher given to her by a mountain lady whom she befriended in Dade county some 40 years ago when she began work with the Welfare Department. A well polished brass bed in the guest room is used with an antique bureau and a satin smooth pine blanket chest. Interesting accessories are the caned rocking chair and a kerosene lamp, still ready to use. Attractive original Godey prints on the wall enhance the atmosphere of yesteryear. One could not begin to tell of all of the antiques of priceless sentimental value in this home which was built after Mr. Willingham returned from World War II in 1949. It is across the road from the home where Mrs. Willingham was born. Though it is not pretentious it is filled with tradition that bespeaks a genteel heritage. Something New Nor could we fail to mention that our friend deviates from the antique trend in one area of her home. That is the kitchen, which is all-electric and up to the minute in every detail. This is where she exercises another hobby and shows her friends that the "proof is in the puddin'." This beloved Lone Oak resident is noted for her culinary abilities and shares them generously. Deep Roots Strong family ties with by-gone eras were quickly observed inside the home itself as soon as we entered. Yet, before we had the opportunity to pursue some of the details of tradition related above, we found that community traditions were also deeply implanted in the lives of this couple who are so closely connected with every phase of community life. There was mention of the first name of the little community, Grab All. This was changed as it grew, to Lone Oak, because of the single strong oak tree at the crossroads. Lone Oak was incorporated into a town in 1902. We were told of the gold mine shafts in this community where prospectors at one time mined a little gold. Focal Points As the Willinghams talked, the conversation came to rest on their special community interests -- Allen-Lee Memorial United Methodist Church and the Community Club, which is housed in the old school building. Mrs. Willingham was born into this church which was established in 1844 as Prospect Methodist. Both of her parents and all of her grandparents were outstanding members as evidenced by memorial windows for each couple. One of the pews in the present church completed in 1939 bears a dedicatory plate to her parents. She pointed out the glass case in the vestibule which held mementos relating to the church. She showed the more recent renovation in the sanctuary which included an oil painting, carpeting, beautiful lighting fixtures and cushioned pews. This is a lovely little church where she serves on the Board of Trustees, the Administrative Board and as teacher of the Young Adult Class for the past 12 years. She and her husband are in charge of keeping the premises and she answers to "sexton," a name by which she is affectionately called. Then, there is the Community Club across the road from the church which is another source of great pleasure to the Willinghams. Since its organization in 1951, this couple has missed only one of the regular first Tuesday night covered dish suppers which, during the years, have drawn so many prominent speakers. Our friend was the second president of the club and instrumental in getting the old schoolhouse renovated for the Club House. Retire -- Never After completing her education some forty-odd years ago, Mrs. Willingham taught school for three years. She then launched into government work in Troup county during the FERA days. Later, she has worked as Director of Welfare, Caseworker, and Casework Supervisor in Dade, Whitfield, Troup and Coweta counties. She has worked with many people in these forty years and gained scores of friends wherever her duties have taken her. It is to Lone Oak community which is so dear to her heart and among people who are so devoted to her that she will now spend her days since leaving her desk at Coweta Department of Family and Children Services. It will not be to retire and grow old but to keep doing many interesting things and thus stay young. Indeed, Eleanor Culpepper Willingham will never retire. Mrs. Willingham is the author of the book History of Allen-Lee Memorial Church (formerly Old Prospect Methodist Church) Lone Oak, GA 1844-1985. which was published by Family Tree, Martha S. Anderson & Associates, 109 Bull Street, LaGrange, GA 30240, Phone 404/882-1538. The Library of Congress Catalog Number is 86-83081 and it has a 1987 copyright. The following review of the book appeared in the LaGrange Daily News for Wednesday, 5 Aug 1987 in a column entitled "History and Your Family" by Shirley Bowen: One of their first efforts, after the erection of shelter, made by those stalwart pioneers who settled this country, was the establishment of their churches. Early church records were often meticulously kept and may offer the genealogist a wealth of information. However, these records are often difficult to get to since they are sometimes in the hands of many different people. For this reason, published histories of our early churches are much sought after. A recent, very well-done church history is the "History of Allen-Lee Memorial United Methodist Church (formerly Old Prospect Methodist Church) Lone Oak, Georgia 1844-1985." Compiled by Eleanor Culpepper Willingham, this 140 page, fully indexed history contains many names of early members and a well balanced portion of pictures. Material for the book was obtained from old church records including membership records and quarterly conference records. There is no record documenting the establishment date of the church. However, the list of pastors beginEleanor Herring Culpepper with Rev. J.W. Yarbrough in 1844. Materials were also obtained from newspaper clippings preserved by the late Mrs. Louise D. Harring [read Herring] who was the Lone Oak correspondent for the Newman Herald and Adviser. The "Table of Contents" is impressive and includes sections on the building of the church, the Old Prospect members, colored members of Old Prospect, old handwriting and translating, officers, letters, the cemetery, Confederate soldiers buried in the cemetery, memorial windows, register of baptisms, recognitions of members, homecomings, membership rolls from 1888 to 1947 and a register of marriages. Cost of the book is $15 for softbound and $20 for hardcover. It may be ordered from Eleanor Culpepper Willingham, Route 1, Box 170, Grantville, Georgia 30220 or from the publisher, Family Tree at 109 Bull Street in LaGrange. In an 8 Dec 1977 letter, Eleanor wrote "I am now trying to collect material for book on my mother's family - Herring's and Ellises. Have found that my grandmother's grandfather was a minute man in Keene, N.H. in 1790s. All very interesting.... P.S. one of our Herring ancestors was Mayor of Memphis at one time. We do not have census records etc., only from cemetery records. One marker shows Jas Stokes Herring, born Lunnenberg Co., Va. moved to LaGrange, Ga."
Eleanor wrote, 9 Jan 1989, that "I have had no trouble since the surgery 2 yrs ago. In fact I feel better than I have in a number of years." In an 11 Jan 1991 letter, Eleanor mentioned "I have arthritis or a circulatory problem in my right hand and this affects my writing." Lone Oak is located in the northwest corner of Meriwether County. It was incorporated November 15, 1901. This record will include facts about growing up in Lone Oak. The main characters are three people, two sisters and one first cousin, Margaret 1906, Florence 1907, and Eleanor 1908. They lived in Lone Oak on opposite sides of the road. They played together and often had meals together. 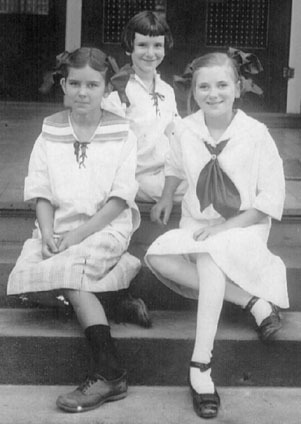 Margaret and Eleanor were daughters of Dora and Homer Culpepper and Florence was the daughter of Grace and George Culpepper. Also living in the Homer Culpepper household were Dora’s parents, Louise D. Ellis Herring and James Stokes Herring. Louise Herring was very well educated and had taught French at LaGrange College. She had a great influence on both households. Her husband was blind. Homer’s first automobile was a Maxwell. During the years he had two other Ford automobiles. The last one had a canvas top and in case of rain curtains could be attached at the sides. Sometimes he had to heat water and pour on the manifold to be able to crank it by hand. This was in cold weather. My sister would sit in the front seat to work the levers to help start it when it sounded like it might start. Uncle George owned a large dark horse named Dock. He always kept a good buggy . Homer owned a smaller Bay mare named Kate which was a saddle horse. These animals played a big part in our daily lives. We learned to hitch the horse to the buggy. Both families had cows and churned the milk to make butter. Hogs were also a part of the farm animals. We learned to milk the cows. Chickens furnished food and eggs for home use and for sale. At the first of the week we never knew what our activities would be during the week. We had meals prepared from vegetables grown in the garden for dinner. Since there was no refrigeration, supper was composed of leftovers from dinner. Food was left on the table and covered with a cheese cloth. Our drink was usually buttermilk. Sometimes on the week end we had ice tea. We would go to the store and buy a chunk of ice and bury it in cotton seed hulls at the barn until we used it. Meals were cooked on a wood stove. My mother was a wonderful cook and made delicious cakes. When electricity came to Lone Oak, she changed to an electric range. Her days were spent preparing for the family. In her spare time she made certain that we had good books to read and encouraged us to speak correctly. Our families had wonderful gardens with all types of vegetables. This was an asset to the food supply. Fruit trees were bountiful and afforded enough for eating and canning. Our mother taught us to do general house cleaning, how to make beds and leave the covers spread up neatly. We helped in the kitchen by washing and drying dishes. At meal time she taught us how to set the table, (we always used cloth napkins beside the plates). We helped in preparing vegetables for cooking and she instructed us in the methods of cooking and seasoning foods. We swept the yards outdoors. No grass grew in the yards and we swept with “brush brooms” made from switches cut from fine limbs of trees. Since we had a wood stove, we carried in stove wood and picked up chips at the woodpile to help with the fire in the fireplace. Growing up as the youngest of three was not easy. Margaret and Florence were full of foolishness and liked good clean fun. I tried to cooperate and do everything they asked me to do. In growing up a teenager did not rate unless she owned a pair of black bloomers. I was so proud of mine. One day we were playing in the pasture and Margaret and Florence took me by the hand and started to run down a sloping hill. I fell down and since this was a cow pasture, the rest of the story was that my black bloomers were ruined as I was dragged along. They put me in a chicken coop and mashed my little toe. When I cried out Mama came to my rescue. Florence’s Mother had a beautiful plant of cayenne pepper which was loaded with red and green pods. They each took a pod of red pepper and put it in their mouths pretending to chew it. Of course, I took one and chewed it with drastic results. In the stream below the house they made a pond about one foot deep and put me in an oval shaped tub to sail down the stream. Naturally it turned over and I crawled out. Each of us had bicycles. Margaret and Florence had new ones. Mine was second-hand. We took rides around the house and on the sidewalk, but not in the road. My bicycle was not running well and sometimes it would just stop and the wheels spin and I could not keep up with them. I cried for them to wait for me. They put me in a wicker baby carriage and placed it on an incline and pushed it down. Fortunately it hit an obstacle and stopped. The next item was fun for all. Whenever a hard rain came with no thunder and lightening, we put on old dresses and had a grand time getting soaked by the rain. In playing in the pasture, there was a ditch about 5 feet wide which we called the big gully. Margaret and Florence could jump across with little effort. They told me that I could do it if I would get a running start from a slight hillside. I ran up the hill to get started and when I got to the edge of the ditch coming down I stopped. I fell in the ditch which was full of trash, briars, and possibly snakes, of course was very funny to them after they pulled me out of this gully. All characters mentioned were members of Old Prospect Church (now Allen Lee Memorial UMC). Homer Culpepper was Superintendent of the Sunday school. Louise D. Herring taught the primary class. There were other good teachers for all classes. All family members attended Sunday school and Church Services. We had new dresses for special occasions. Our Mother remained at home with our grandfather due to the fact that he was blind. We children asked our father for a penny to put in the Sunday School Collection. Aunt Grace and Uncle George Culpepper were faithful members. She taught a class of young men. They drove old Dock to church and hitched him to a tree near the church. Florence happened to look out the window and saw that he had gotten loose from the tree. She left her seat in church and went out and brought him back to the tree. It was the custom for the whole family to go to Greenville for Christmas dinner at the home of Ellen and Simeon Culpepper, our grandparents. We started out in the old Ford and when we were about half way, the car broke down. Our dad knew a reliable black man who had a good mule and buggy. He borrowed the mule and buggy and we returned home to a Christmas dinner of cold sweet potatoes. My sister and I were so dressed up with new hair bows and clasps that we wanted the family to see. During the summer months, we enjoyed exchanging visits for a few days a week with our cousins. They lived in Greenville and it was a treat to be in Town. In wandering over the farm we found many arrow heads. We had the idea that Indians had occupied the territory near our house. We had a family of black people on the place that had two good size boys. We employed them to dig for relics. They dug deep holes which resembled a gully, but we never found anything. An older man on the place told us where some additional graves were located, but we discarded the idea of any further digging. The holes we dug are still open on Nancy Gray’s grounds. In the 1930’s, a swimming pool was built on the property of my father, Homer L. Culpepper, under the supervision of Sanford Prickett and other interested individuals. The walls of the pool were made from planks of green lumber, thus preserving the walls. The pool was filled by water from a wonderful fresh water spring. A tenant house was used for a bath house. We built a hammock from barrel staves held together by wire. This lasted for several years giving much pleasure to young and middle age people. Our favorite uncle Edgar Culpepper, who was confined to his home with arthritis, lived next door. We three children visited with him and played Set Back. He could handle the cards and it helped to pass the time for him. Frequently two of us would get irritated with each other and he would say, “hear me, hear me, if you all don’t quiet down you can go home.” In other words we listened to him because we liked to play at his house. He was very cheerful in spite of his health problems. He sat on his front porch and we enjoyed playing around in the yard. Our dad was a good story teller. He often entertained us in this way. One year he had planted some corn and later discovered it was planted too thick. He carried the three of us to the field to help him thin the corn. As soon as we undertook the task, he began to tell us tales. As we were going along at the job a black runner came out of the weeds in front of Florence. He continued telling tales and told us the snake would run from us. We continued our task until the patch was clean. He made a good crop. On other occasions, he looked after the farm a few miles from home. He always went in the buggy and my sister and I went with him. I always had to sit in the foot of the buggy, facing my dad and sister (back to the horse). On day the grass was green and the horse had been grazing the green grass. All of a sudden I cried out “my back is wet”. They almost wanted to make me walk back home. When we arrived I was almost in tears because they had laughed at me so much. Mama wanted to know what the trouble was and of course provided clean clothes for me. Whenever either household had a chicken to die, they threw them in a nearby ditch. We decided that we wanted to get close and look at a buzzard, when it came to devour the chickens. We found just the place to watch under some low limbs of a pine tree. We called our cousin, Thomas Culpepper, who was visiting our Uncle and Aunt next door. All were well hidden under the limbs. After a while, the buzzard came on the scene. The conversation went something like this, “now Eleanor you be sure and be quiet”. About the time the buzzard got on the ground, I hollered “SHOO”. We never got a good look at him and of course I was blamed for failure of the plan. At Christmas time we hung up our mother’s everyday black stocking. Santa put nuts, oranges, dried raisins on the stem and candy. Then he brought us big dolls with real hair and eyes that would close. My doll was named Sara, Margaret’s was named Mary and Florence’s was named Lucile. One Christmas, Santa brought us the book Pollyanna. In the front of the book the following was written. To: Margaret and Eleanor, From: Santa Claus. We recognized our mother’s handwriting. We made play houses in a tenant house on our place and after playing a few months moved upstairs to Florence’s house. There was no electricity but we even tied some discarded light bulbs from the ceiling to pretend we had electricity. At intervals Santa brought doll beds, chairs, doll carriages, tea sets and other household items. We moved back and forth to the tenant house every few weeks. We had grown dogs and puppies. We always had a little house dog and cats and kittens. We liked to watch the kittens play and their mothers take care of them. We also had a calf which made a good pet. We had a pet crow which we tamed with a whistle. He liked to play with the kittens. He remained with us for about a year. He finally heard the call of the wild. Uncle George, Florence’s father, made a halter for our pet calf so that we could lead him around. We had a small wagon, but the hind wheels had been taken off or lost. We hitched the calf to this wagon and when we tried to drive him, the body of the wagon began to strike his legs. We turned him loose and a handy man who helped around the farm caught him. Our pasture joined a neighbor’s pasture. In the runaway deal the mule in the pasture brayed and the cow mooed. Everyone hollered except Johnnie, the handy man. We played hopscotch, jackstones, marbles, mumble peg, jump rope, played ball and hide and seek. In the pasture below the house a good stream of water afforded wading and at times we built a dam to make a pond about knee deep. In the branch we learned about tadpoles and how they became frogs. When we found a good patch of sand, we poured water on it and barefoot made frog houses by covering up our feet and pulling them out leaving holes for the doors. In the dry sand we had a little verse to make a doodle bug come out “Doodle, Doodle come out of your hole and I will give you a lump of sugar.” We tied a thread to the leg of June bugs to see them fly around. We took long walks in the woods, under the supervision of our Aunt Margaret who taught us lots about nature. We climbed trees and had an acting pole about three feet from the ground. When fruit was ripe, we climbed the fruit trees and ate all we wanted. We had, peaches, pears, apple and plum trees. I had gained weight and Uncle Edgar nick named me “Chunk”. Before electricity came to Lone Oak, my mother cooked on a wood stove. She made delicious cakes. Her days were spent in preparing things for the family. In her spare time she made certain that we had good books to read and encouraged us to speak correctly. The first radio we had was operated by batteries. Later we had one operated by electricity. Citizens of Lone Oak invested in a telephone line. This covered the territory occupied by the citizens. We were able to make calls to town. Whenever the phone was out of order, someone would check it and find wires crossed. This was usually the cause for trouble. The telephones were mounted on the wall in a convenient location. People really visited over the phone. Each family had a different ring. At our house our ring was three shorts. Margaret and Florence wanted to visit a cousin several miles away. Uncle George hitched up old Dock to the buggy. They had to go through the middle of Lone Oak, where Mr. Burrell Wise, who had a store, had a little motor he used to charge batteries for lights. When they started home and reached the middle of Lone Oak, Mr. Wise started up the motor and old Dock put his tail in the air and started to gallop toward home. Florence had the lines and was trying to calm him and Margaret was saying “Hold him in the road Florence, hold him in the road,” repeating every breath. When they reached the corner at driveway he turned (almost on two wheels) and carried them to the barn. Uncle George took charge. This item involves my mother, Uncle Albert, Florence, Margaret and Eleanor. My Aunt Margaret, who married late in life to an old flame had moved to New York. They bought a few acres in Florida, and built a small house. He returned to New York and left Auntie in Florida. We started out in a Model T Ford. We had trouble about 40 miles on the way, but finally reached our destination. Florence did most of the driving and Mama sat on the front seat with her. Uncle Albert sat with us on the back seat. He loved his chewing tobacco. Such a sprinkling we did get as we drove along. He had carried a small bottle of liquor along in case of snake bite he said. He was not a drinking man. On the way back we had a flat tire. A man in a truck stopped and repaired it. Uncle Albert offered to pay him, but he refused the pay. Uncle Albert gave him the bottle of liquor, saying you are a “good fellow”. The school building was located near the cross roads in Lone Oak. It was about one half mile from our homes. We walked to school every day and carried a lunch. Some of the pupils had lunch boxes. Our dogs followed us to school almost every day. We were very much amused when “Old Sager” stole a pupil’s lunch box and carried it home. The building consisted of two rooms. One was smaller and we called it the little room and the other one the big room. Pupils sat in double desks. Girls sat on one side of the room and boys sat on the other side. Only ten grades were offered (five in each room). Pupils were called to the front to sit on a recitation bench for the lesson. We had good teachers. A couple, man and wife, and some younger teacher and a good principal. They taught us songs as well as studies in the book. We played various games at recess and lunch time. We had 30 minutes for recess, morning and afternoon, and one hour for lunch. At intervals we recited poems which we had learned in class for afternoon program. If a shower came up at closing time, we were glad to see Florence’s mother driving old “Dock” to take us home with hoods. Our mothers had bought us raincoats with hoods and of course, we were glad to try them out along with the leather lap robe to keep rain off. We were allowed to visit with our friends after school for a short time, but we knew we had to get home, and after eating supper, get to the kitchen table and study for tomorrow by a kerosene lamp. As we got to be teenagers, we were allowed to go to Hogansville to the movies under supervision. We had friends to come in and play cards. We got to be very good bridge players. All in all growing up was a very rewarding experience. The old Ford is ready to be retired to the shelter. Toot, Toot. Will* � She made a will. Obituary* 14 Apr 2009� Mrs. Eleanor Culpepper Willingham, age 100, of the Lone Oak Community of Meriwether County, died Monday, April 13, 2009, at Hospice LaGrange. 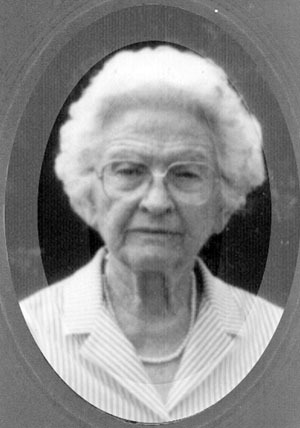 Mrs. Willingham was born October 14, 1908, in Lone Oak, daughter of the late Homer and Theodora Herring Culpepper. She received an AB degree in Education from the University of Georgia, studied further at the University of Virginia, and taught mathematics in various high schools in Georgia for several years. In 1937, she became an employee of the Georgia Department of Family and Children’s Services, serving as director in Dade and Whitfield Counties, later transferring to serve as casework supervisor in Troup County and retiring in 1970 from Coweta County. A charter member of Lone Oak Community Club when it was organized in 1951, Mrs. Willingham took an active part in all activities and was instrumental in securing historical documents pertaining to Lone Oak and the surrounding area. She was the oldest member of Allen-Lee Memorial United Methodist Church, which she joined in August, 1919, and served wherever she was needed. She wrote the History of Allen-Lee Memorial Church in 1987, served as church historian, and took an active part in the Sesquicentennial Celebration in 1994. Along with Rosalind Johnson Edmondson, she co-authored History of Lone Oak. In 1998, Mrs. Willingham was presented a Community Service Award by the General Daniel Newnan Chapter of the National Society of the Daughters of the American Revolution. She was very much interested in genealogy and generously aided many people in their research. She was preceded in death by her husband, Albert M. Willingham, and is survived by several cousins, nieces and nephews. Funeral services will be conducted at 4:30 p.m., Wednesday, at Allen-Lee Memorial United Methodist Church. The Rev. Melanie Stanley-Soulen will officiate and interment will be in the church cemetery. In lieu of flowers, memorial contributions may be made to Allen-Lee Cemetery Fund, 6885 Forrest Rd., Grantville, GA 30220. The family will receive friends tonight from 6 until 8 at Claude A. McKibben and Sons Funeral Home. Elnor Culpepper, Boarder, F, 21, S, GA/GA/GA, School Teacher. courtesy of Nancy Grace (Johnson) Gray, editor, and Betty Daniel, transcriber. E-mail written May 2009 to Lew Griffin from Betty Daniel, e-mail address. whose address is 116 Hopeton Lane, Eatonton, GA 31024. E-mail written Apr 2009 to Lew Griffin from Rosalind Edmundson, Hogansville, GA, Phone 706-637-8965, e-mail address. LaGrange Daily News Online, 14 April 2009. Biography* � Mrs. Eleanor (Culpepper) Willingham wrote in a 23-29 Jan 1995? letter that Marvin Willingham and Emmie Lou Thomas married and had 11 children and that 3 died in infancy and Albert M. Willingham was the 5th child. The following is from a wedding announcement of Albert M. Willingham to Eleanor Culpepper: Corporal Willingham is the son of Mr. M. J. Willingham of Lone Oak, and for the past three years has been a member of the armed forces, serving twenty-seven months overseas in the Mediterranean Theater. He is now at home for a thirty-days rest period, but will leave on foreign service on March first. Mrs. Eleanor Culpepper Willingham wrote in a 9 Jan 1989 letter that "my husband had a country grocery store." Biography* � In a letter dated May 16, 1997, Pitts wrote: "I retired from Georgia Power Company after forty-five years of service in March 1984, having worked in Greenville, Manchester, and Rochelle. I also served in the U. S. Marine Corps during W W II." Obituary* 20 Feb 2007� Lewis Pitts Culpepper, age 88, of Greenville, died Monday, Feb. 19 at the Roosevelt Warm Springs Institute for Rehabilitation in Warm Springs. Graveside services were held at 2 p. m. Thursday, Feb. 22 at Greenville City Cemetery with Rev. Charles Swaney Garrett, John Powell Norris, Margo Acheson, Mell Adkins, Buck Willingham, Pete Yarnell and Henry Barnes. Mr. Culpepper was born November 5, 1918, in Greenville, a son of Wilbur Clay Culpepper Sr. and Carrie Lou Tigner Culpepper. He was retired as a Local Manager for Georgia Power Company and was a U. S. Marine Corp Veteran of World War Two. He was an active member of Greenville United Methodist Church, where he attended the Men's Sunday School Class, and was a member of Greenville Masonic Lodge No. 321 F&AM. For many years he served faithfully as the Custodian of the Greenville City Cemetery. Survivors include his wife Josephine Pouncey Culpepper of Greenville, a daughter, Josephine Culpepper Holt of Eatonton, a son, Lewis Pitts Culpepper, Jr. of Greensboro, NC, five grandchildren and seven great-grandchildren. Louis P. Culpepper, Son, M, 1 2/12, sng, GA/GA/GA. Lizzie Tigner, Sister-in-law, F, 38, S, GA/GA/GA. W. C. Culpepper, d. 19 Oct 1943 at 67 years in Meriwether Co., GA.
+ Carrie Lou Tigner Culpepper, 24 May 1888 – 19 May 1985. Carrie L. Culpepper, d. 19 May 1985 at 96 years in Meriwether Co., GA; Res. in Meriwether Co., GA.
Wilbur C. Culpepper, d. 6 Nov 1993 at 69 years in Troup Co., GA; Res. in Meriwether Co., GA.
Tom J. Culpepper, Son, M, 7/12, Sng, GA/GA/GA. Mary Sams, Sister-in-law, F, 25, wd, GA/GA/GA. Ida Sams, Mother (-in-law), F, 74, wid, GA/GA/GA. Helen Culpepper and J. E. Lindsey on 26 Apr 1934 in Carroll Co., GA, Book P-236. Biography* � The following is from a wedding announcement of Thomas J. Culpepper, Jr. to Carolyn A. Tigner: The groom, too, comes from one of our oldest families. He is a son of Mr. and Mrs. T. J. Culpepper, an honor graduate of the great Tech, a gentleman of the highest character and occupies a prominent position in a Columbus textile mill. Thomas Culpepper is a real man and destined to go to the top in the business world. Carolyn Tigner Culpepper, 95, of 20 Hawthorne Park Court, died Feb. 19, 2005. Born in Greenville, Ga., she was the daughter of the late William Sidenham and Marie Tigner and the widow of Thomas J. Culpepper. She was a retired teacher of Trinity United Methodist Church K-5 in Augusta, Ga. She was a member of Aldersgate United Methodist Church. Surviving are a daughter, Ann C. Martin and husband Frank of Corpus Christi, Texas; two sons, Tom Culpepper and wife Jeanne of Dunellon, Fla., Tigner Culpepper and wife Carol of Greenville; a sister, Frances Corwin of Montgomery, Ala; 10 grandchildren and nine great-grandchildren. Mrs. Culpepper was preceded in death by one grandson, Lee Martin. Obituary of Carolyn Tigner Culpepper, published 21 Feb 2005. Biography* � Mrs. Eleanor (Culpepper) Willingham wrote in a 6 Apr 1992 letter that Joe "has prostate cancer in an arrested state." In a 20 Mar 1993 letter Eleanor wrote "we lost Joseph T. Bohannon." Mrs. Eleanor (Culpepper) Willingham sent the following clippings about Joe Bohannon with a 7 Jan 1994 letter: Bohannon Named Georgia Tree Farmer Of The Year By Jeffrey R. Horn Journalism Intern Joe Bohannon of Newnan was named Georgia Tree Farmer of the Year at the annual convention of the Georgia Forestry Association June 21-23 on Jekyll Island. Bohannon said trees have played a very important part in his life. They allowed him to send two sons, Donald and Tom, through college on proceeds from pine trees sold to the lumber market. "The boys didn't have to take out any student loans," Bohannon said, "and I didn't have to go in debt." Now Bohannan is paying back the land which helped him by implementing a management program designed by the Georgia Forestry Commission. Bohannon, a retired textile dye salesman, has had his land certified under the Tree Farm System since 1979. The acreage is part of a tract his great grandfather received in a land lottery in Coweta in 1827. Bohannon thanks Walker Rivers, staff forester at the Forestry Commission's state headquarters in Macon, with helping him work out a detailed forest management program. Rivers, who formerly worked in the Newnan Forestry Commission office, "led me right through the seasons, even visiting me periodically to check that management practices were done correctly," Bohannon said. Last year, Bohannon planted over 91,000 seedlings as a part of his management program. This year he plans to plant 23,000 more. Bohannon says he enjoys the aesthetics of growing trees and his property abounds in deer, wild turkey and quail. But aside from the beauty of the forests, he knows the trees will provide financial comfort for his family. Bohannon encourages other landowners to make good use of their land by presenting programs on tree farming to various organizations. He also regularly attends forestry conferences and has opened his land for tours to promote better forest management. For as long as he is custodian of his land, Bohannon plans to care for it as it has cared for him. Mrs. Eleanor (Culpepper) Willingham also preserved this article from p. 10 of Georgia Forestry June 1987: GEORGIA TREE FARMER OF THE YEAR PLANTS FOR FUTURE GENERATIONS Joe Bohannon of Newnan, who is just a little past 70, said he met a friend on the street the other day who asked: "Why in the world are you planting all those trees on your land at your age." The tree planter patiently replied that he has two sons and several grandchildren. But even if Bohannon didn't have heirs to benefit from forest trees that won't mature for harvest until after the turn of the century, acquaintances say he is the unselfish type who would plant for the satisfaction of improving the land and "leaving the land better than he found it." That attitude helped Bohannon capture the Georgia Tree Farmer of the Year distinction. He was nominated for the honor by Senior Forester Charles Gremillion of the Georgia Forestry Commission's Newnan District. A committee of the Tree Farm System toured his land and agreed that he does, indeed, deserve the annual award. Bohannon and his wife, Mary, will be guests of honor at the annual convention of the Georgia Forestry Association June 21-23 on Jekyll Island, where he will officially receive the award and be cited at a banquet for his excellent forestry practices. The state's new Tree Farmer of the ye a retired textile dye salesman, has had I land certified under the Tree Farm System since 1979. The acreage is part of a try that has been in the family well before to Civil War. His great grandfather drew a lot in a land lottery in Coweta County in 1827 and before he died in 1852 he had expanded h holdings from 2021 acre lot to farm ar forest lands totaling 1,700 acres. Bohannon inherited 278 acres of the land from h father. The tree farmer sold 50 acres of pine Georgia Pacific Corporation in 1970 help pay for the education of his two sons (son Donald is now an anesthesiogloist in Savannah and Tom is a certified public accountant in Atlanta). He said he was to by the company's forester that some of to trees were more than a hundred years old. E-mail written 24 Feb 2013 to Warren Culpepper from Thomas Joe 'Tom' Bohannon (#20128), e-mail address. Later in life, Joseph Tollison Bohannon, Jr., legally changed his name to Joe. Obituary 16 Aug 1995� GREENVILLE, S.C. - Annelle "Nell" Moore Culpepper, 80, of 217 Botany Road, widow of Fletcher Sams Culpepper, died Aug. 13, 1995, at her residence. 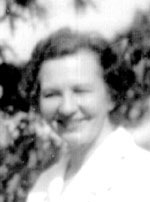 Born in Corinth, Ga., Troupe County, on Feb. 14, 1915, she was the daughter of the late Annie Mae Hackney Moore and William G. Moore. Mrs. Culpepper was a resident of Greensboro from 1951-1962. She was formerly a very active member of West Market Street United Methodist Church and the United Methodist Women. She is survived by her daughter, Mary Ann Culpepper Tigner; son, William Fletcher Culpepper; grandchildren, James Forrest Toomes, Cynthia Hodge, John David Tigner, Patricia Ball and Elizabeth Annelle Tigner; and three great-grandchildren. She was a graduate of LaGrange College in LaGrange, Ga., class of 1936. She was an active member of Buncombe Street United Methodist Church, member of Robert Morris Church School Class, United Methodist Women, and Commission on Church and Society. She was also an active member of Greenville Council of Church Women, Greenville Council of Garden Clubs, Clarice Wilson Garden Club and Botany Woods Community Club. Mrs. Culpepper formerly served on the Buncombe Street Methodist Church Board of Trustees, Board of Stewards, Sisk Advisory Council, and Conference Board of Church and Society. She also volunteered in coordination and delivery of Meals on Wheels, serving on its board and that of United Ministries. Upon her death, she was a member emeritus of Southernside Block Partnership, Inc.
Greensboro News & Record, Greensboro, NC. Obituary of Annelle "Nell" Moore Culpepper, published August 16, 1995, Page: B4. LaGrange Daily News, LaGgange, Georgia. Obituary of Annelle Moore Culpepper, published 16 Aug 1995 and sent by Mrs. Eleanor (Culpepper) Willingham. J. Wallace Culpepper The funeral for J. Wallace Culpepper of Statesville, N.C., will be at 1 p.m. Sunday at the Chapel of A.S. Turner and Sons with burial at Crestlawn Memorial Park at 10 am Monday. Mr. Culpepper, 78, died Friday. He was the retired owner of Culpepper's Pharmacy in Atlanta and was a graduate of the University of Alabama and the Atlanta College of Pharmacy. He was also a nember of Epworth United Methodist Church. He is survived by his wife, Martha Elizabeth Bu an unknown person ford Culpepper of Statesville, N.C; his daughter, Mrs. W. H. Cherry Jr. of Statesville, N.C; sons, Bu an unknown person ford W. Culpepper of Westchester, Pa., N. Wilton Culpepper of Snellville and James W. Culpepper of Clemson, S.C; his brother, N. Voight Culpepper of Cullman, Ala; nine grandchildren and two great-grandchildren. Alabama Department of Archives, Cullman County, Alabama Divorce Index, 1908-1937, Cullman County Public Library System Press, Cullman, AL, 2002. "Kathryn Culpepper divorced Wallace Culpepper on 22 Jan 1922 in Cullman Co., AL." Florence E. Culpepper, Dau, F, 6/12, S, AL/AL/GA. Obituary of James Wallace Culpepper, published 22 Feb 1981. Biography* � On p. 612 of The Story of Georgia Martha was listed as having attended Wesleyan College. In a 7 Jul 1978 letter she wrote that she and her husband, J. Wallace Culpepper, were third cousins "tho' I never heard of him or saw him until he came to Atlanta from Alabama to go to Pharmacy school." She added that she did "relief drug work" at nearby pharmacies. Martha Elizabeth Burford Culpepper, Female, White, Widowed, born 16 Nov 1907, died 12 Sep 1993 in Statesville, Iredell Co., NC, SSN: 257-34-3581. Tom C. Burford, Son-in-law, M, 34, md1-4 yrs, GA/GA/SC, Credit man for clothing co.
Julian K. Roberts, Grandson, M, 16, Sng, GA/GA/GA, Shipping clerk. Thomas C. Burford, Head, M, 42, md, GA/GA/SC, Sec/Treas of Coal Co.
Noah S. Culpepper, Father-in-law, M, 80, Wd, GA/SC/GA. Perry Culpepper, D.V.M. (1917-1999) - Veteranarian (FL). Ilene W., Culpepper, 1918 - _____. Obituary* 12 Nov 2015� Ilene W. Culpepper, 97, of Marianna passed away on Saturday, November 7, 2015 at Signature Healthcare Care at the Courtyard. Mrs. Culpepper was born in Wedowee, Randolph County, Alabama on June 4, 1918, and had resided in Marianna since 1942. She was an active member of the First Presbyterian Church and had served as an Elder; and was an Honorary Life Member of The Presbyterian Women. Mrs. Culpepper also an active member of the Marianna Women's Club, with a Life Membership, where she served as President for two years. Additionally, she served as a District Director for the Florida Federation of Women's Club for two years; was a past member of the ladies of the Elks, serving as President and was Lady Elk of the year for 1966; was a life member of the Eastern Star. She enjoyed working in her yard, arts and crafts, and traveling; spending time with her family. Mrs. Culpepper was preceded in death by her husband, Dr. Thomas Perry Culpepper, DVM and her parents, A. D. and Eunice Shaw Washington. Survivors include four sons, Ed Culpepper and wife, Kay of Griffin, GA, Russell Culpepper and wife, Recie of Havana, Al Culpepper and wife Candice Burger of Midway and, Gary Culpepper and wife Pat of Clarksville, TN; 14 grandchildren, 22 great-grandchildren and one great-great grandchild; one sister, Erbis Tennant of Dublin, GA.
Funeral services will be 2 p.m. (CST) Saturday, November 14, 2015 at James & Sikes Maddox Chapel with Rev. Dr. Lewis Bullard Officiating. Obituary of Ilene W. Culpepper, published in the Tallahassee Democrat on Nov. 12, 2015.